Founded in 1992, premium Ayurvedic cosmetics brand Biotique has earmarked a strong market presence in the Indian wellness space with Rs 450 crore turnover in FY16. The founder, Vinita Jain, credits innovation, and R&D for her brand’s strength. 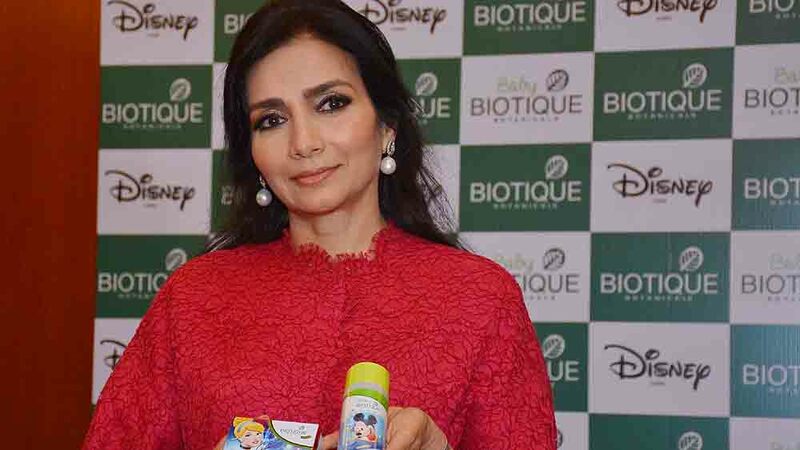 At a time when Ayurveda products have become most preferred choice of Indian consumers and brands like Patanjali have made adequate noise about their existence in the market, premium Ayurvedic cosmetics brand Biotique has also broken its silence. The reticent founder of the brand, Vinita Jain, had recently disclosed that her company is expected to infuse Rs 450 crore in the current fiscal. Clocking about 35 per cent YOY growth, the two-and-a-half decades old, Biotique, is a zero-debt cash-rich company, backed with strong internal funding. Significantly, Jain had orchestrated a team of qualified Ayurvedic Doctors, Scientists and Swiss Cosmetologists who design, manufacture and pack all Biotique products. As a result, there are highly effective skin and hair care products that treat and preserve health, beauty and well-being as never ever before. Founded in 1992, in the beginning, Biotique was a very successful brand as it delivered varied results. For instance, products of Biotique when used are readily absorbed by body. Consumers are very well aware of the natural ingredients that are best suited for human body. Biotique has always made highly efficacious and result driven products. Therefore, the brand became quite popular from the very beginning of its existence. It’s been there for close to 20 years now. Initially, we had Swiss technology tie-up and we had strong market presence in Switzerland. Later, we established our presence in India, starting with Delhi. Biotique is a boutique that sells botanical extracts. It is the chief idea of Biotique. It sells everything which you need for your health and beauty. The market was always interested in it because Biotique belongs to an intelligent society which is very conscious about its beauty, skin and healthcare regime. Biotique delivers high quality and result driven products. That’s the main USP of the company. The brand has grown and it is competing at the level of multinational companies in India and other countries. That’s the major milestone and people understand the quality of brand.It’s the major achievement and it has stood to merit and high quality. Being an efficacious brand is yet another achievement of Biotique. It is known for its high quality result oriented products. We would be doing product extensions in the near future. But, at the moment, we are focusing on skin and body care products. We have recently launched a special product line for babies. We have also done a special tie-up with Disney for daily product line. We have also done a tie-up for infants and kids’ products line. Disney has an emotional connect with the consumers and babies. Biotique is known for its high quality products. So, I think it’s a good partnership and I’m very happy with the decision. Export and domestic are together contributing to it.Our 55-60 per cent profit comes from export. We are present in Europe, Russia, Middle East and Africa. We don’t see anything as easier or tough.The idea is to perform well and that’s the objective. We have been growing year by year. The company has been doing very well and its growth has been persistent. At times, it is lesser, but on average 30 per cent growth has been something which we have been registering. The brand is doing very well and we have got lots of brand inspections. Basically, we cover every aspect of health and beauty because the concept of Biotique is that consumers can preserve the health and beauty for lifetime by using our product line. There was no major support from the Government. We adhere to industrial policies, but we do not get major support. I can’t remark anything in particular which Government has done for us. But I think Government of India is looking forward and trying to build entrepreneurs and understanding the values which entrepreneurs bring to society. So, that’s a good initiative. Biotique is growing well, year by year at about 30-35 per cent. Innovation, Research and Development processes are the core part of our strategies to enter the new categories of market. I am interested in taking a franchise for manufacturing your products.Please let me know whether there is any such program that your company runs. 5 tips to steal limelight in a Trade Fair..